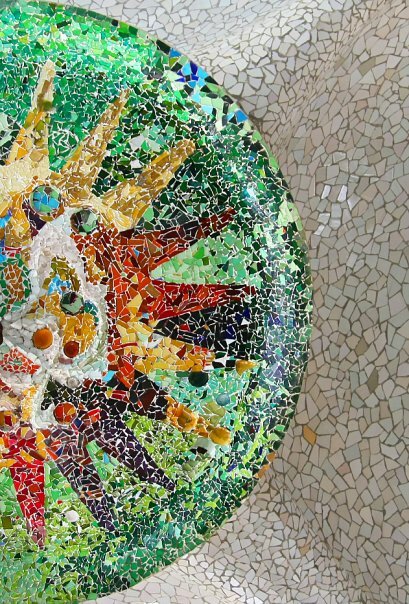 Does Gaudi ring a bell to you? Frankly, I just stumbled into this famous name when I prepared my petite family trip to Spain. It was back in 2010 (almost 8 years ago) and we were still living in Geveve, Switzerland when we started the trip. 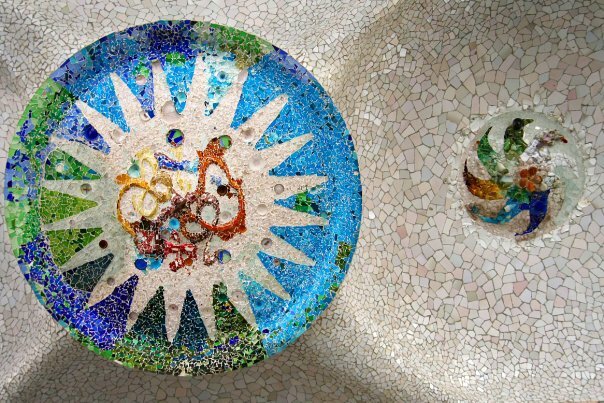 And even before arriving at Barcelona, looking at all those photos and stories on the web, we know Antonio Gaudi was indeed a GENIUS! 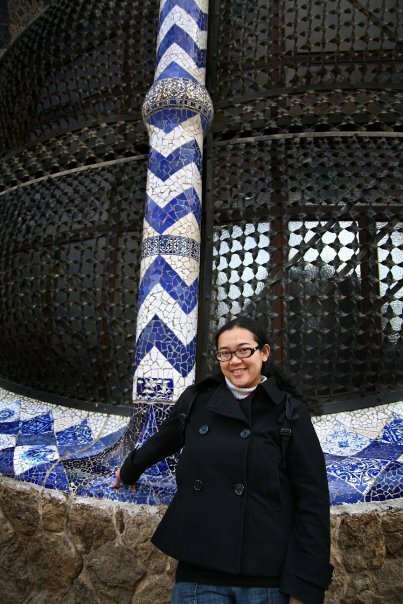 Born in 1852, Gaudi has been world-widely know for his Catalan modernism, highly inspired by nature and religion. To him, nature comes with the best shapes and colors. Some dubbed him as the 'God's architect' for his incredible works, including Sagrada Familia, famous church in Barcelona as well as the most visited monument in Spain. And his works there is incomplete! 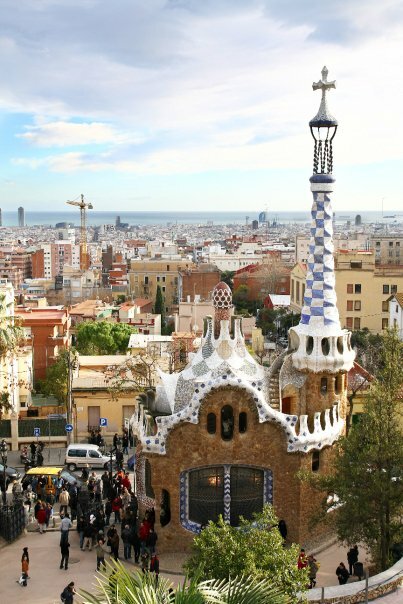 So, no wonder we planned to see three amazing places in Barcelona created by Gaudi. 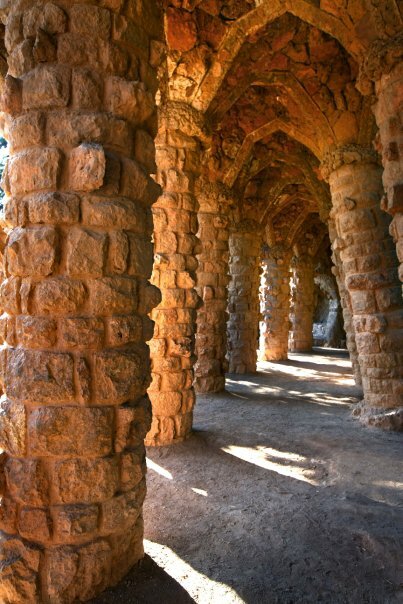 One of his famous masterpieces is PARC GUELL, in Barcelona. 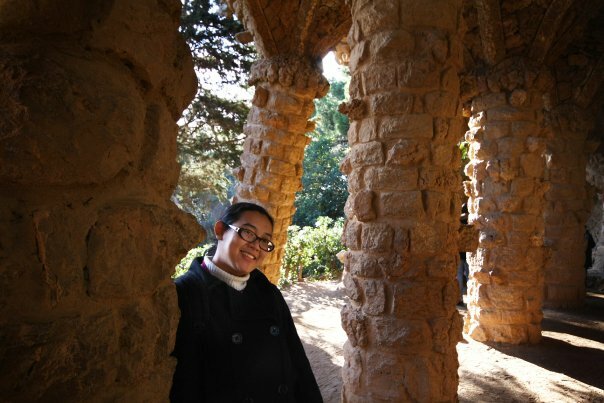 Undoubtedly, Parc Guell is one of the most impressive parks I have visited so far (and I'm one of park's biggest fan :D). 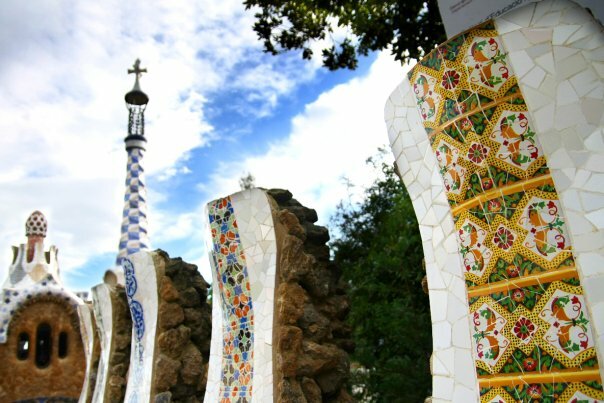 It has been world-wide famous for being Gaudi's great masterpieces, as the park is adorned with so many unique elements. 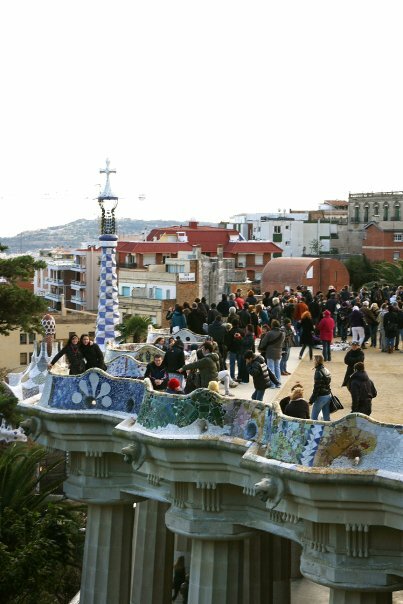 Di hari kedua road trip kami di Barcelona, kami memutuskan untuk mengunjungi Parc Güell yang asli ngetop banget. Pokoknya kalau ada kesempatan main ke Barcelona, jangan ngga mampir ke sini ya. Taman luas yang terdiri dari beberapa kompleks ini memang unik. 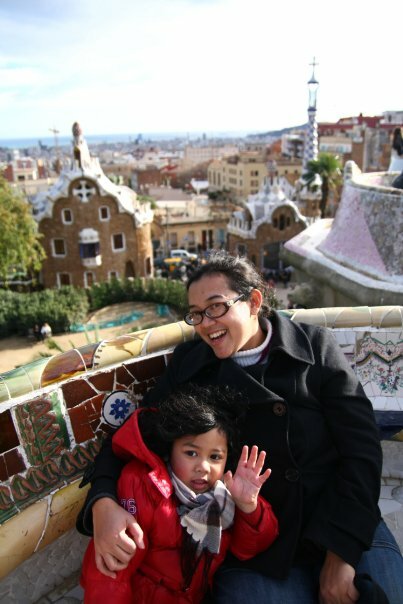 Seperti yang saya ceritakan di atas, Gaudi memang bener-bener luar biasa dalam merealisasikan aneka bentuk unik dari alam. 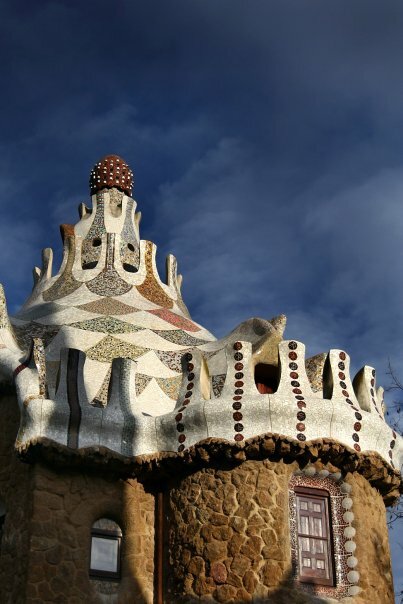 Dan taman ini adalah tempat pertama karya Gaudi yang kami nikmati di Barcelona. Kesan pertama memang jawdropping! Mencengangkan! Bikin menganga. His attentions to details continued to wow and amaze me, Udi et Bo while we got an opportunity to stroll around the city of Barcelona to see his magical works. 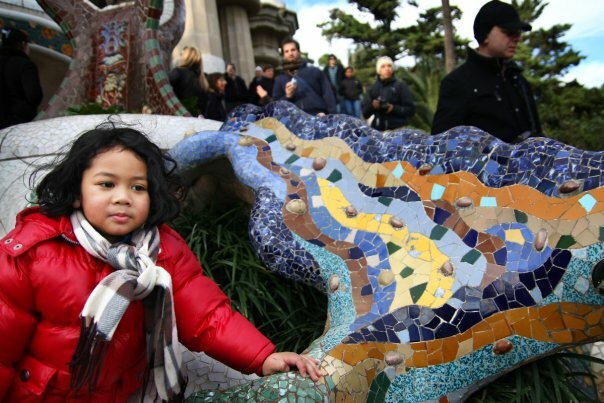 Alhamdulillah, amidst flowing tourists, warm January and packed park, we managed to take a stroll around the park, starting from Casa - Museu Gaudi. We didn't get inside as the park itself is huge but we took a few pictures in front of this house/museum. Then we walked up to the main part of the Park. 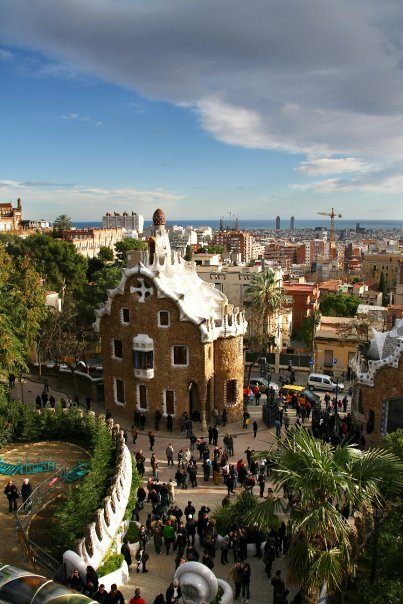 Parc Guell consists of several parts, including the famous Dragon (or 'gecko') stairs, the Greek Theater, Casa-Museu Gaudi, and Casa del Guarda. 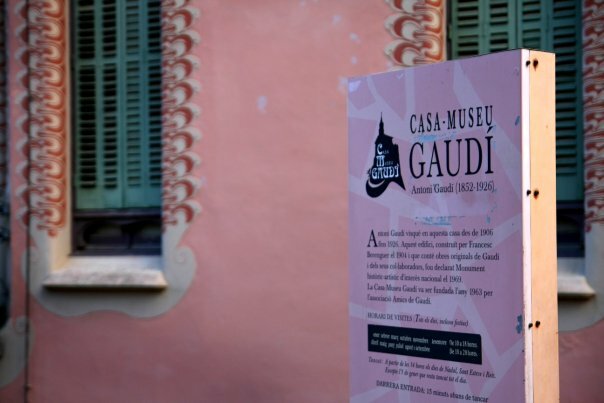 As you walked into the area, you can immediately see Gaudi's signature. Amazing details with out-of-this-world designs and shapes. 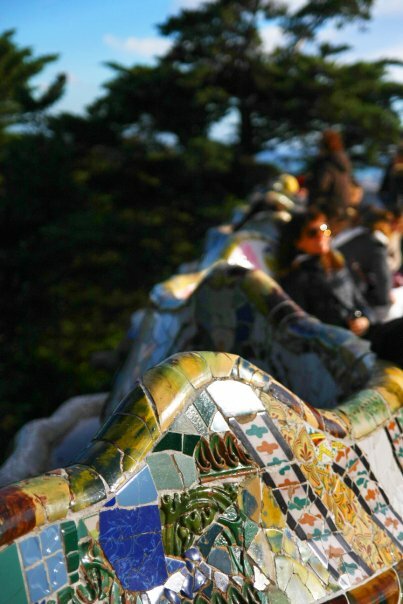 The park has been known for its famous 'gecko' (although some say it's the dragon) and incredibly comfy bench filled with quilt of ceramics tiles as well as stunning view of the city of Barcelona. When we continued to stroll around the park, especially, the upper part, we found the forest of unique columns. More interesting spot to enjoy. They are indeed unique as the columns are not even straight. They are strategically positioned to frame the clear blue sky and trees in the park. Even the roof along this promenade looks like natural caves, at least for me. It feels like getting lost in the forest of brick columns. Waktu kami sekeluarga menjelajahi taman ini, ada bagian yang seru dan unik serta tidak terlalu ramai. Di bagian ini ada jalan setapak dengan kolom-kolom dari bata yang terlihat alami dan uniknya tidak ada yang lurus. Paling tidak terlihat alami dan seperti karya Gaudi lainnya, tidak ada garis lurus. Karena tidak terlalu ramai, seperti bagian taman lainnya di Greek Theater dan Dragon's stair, kita bisa puas foto-foto di sini. The next part that we love so much is the gingerbread house. It's like those whimsical houses popping out of children story book. Take a look at these photos and tell me what you think! Jaw-dropping ceilings with intricate designs can be found in the Greek Theater part. Those mosaics in different colors and shapes will be interesting to look. I can't stop thinking how they actually built all this amazing park. There has got to be special techniques being used to get all those curves and colors. 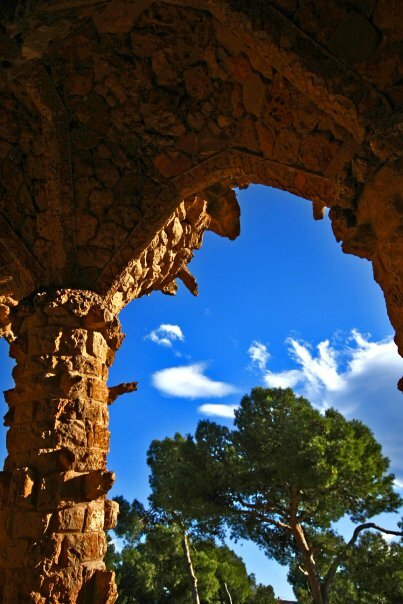 Wanna see more of Parc Guell ? Here's the map of the Park. Do you like visiting the park as well? What is your favorite park so far? 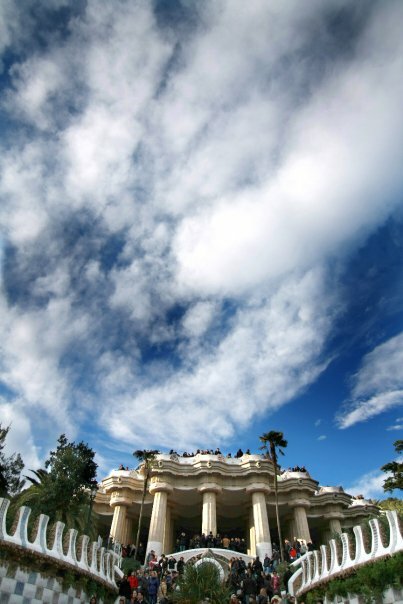 Will you visit this park if you get a chance to visit Barcelona? See you in the next story and happy traveling! The archways are breath taking! How cool you get to travel so much! Gaudi's works are breathtaking. I bet they are even more amazing in person. I do hope I can see them for myself some day. I agree with Alissa. The archways are amazing!